Photo challenge: it’s time for some spring cleaning! 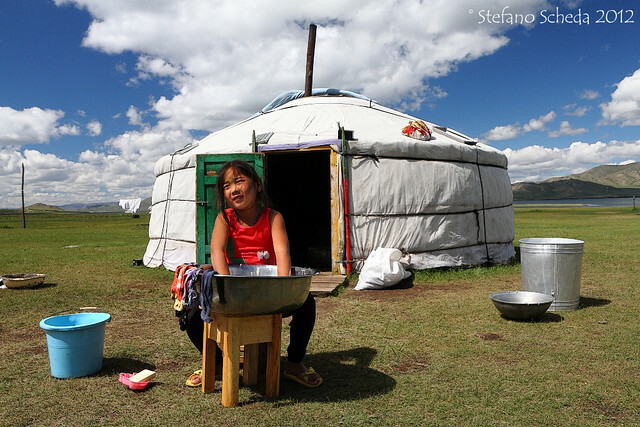 Laundry service – Tsagaan Nuur, Mongolia. I love this, Stefano. It make me think about necessities vs. wants. Our younger daughter wants to live in a yurt someday and there are some very nice ones these days! Enjoy the weekend. What a great photo – it’s amazinf how clear the air is there – I noice it every time I see a phtot from mongolia. I like the way you composed this, it almost looks like a stage set, the way the objects are arranged.